You know that dreaded feeling you have when winter is coming? You probably have that right about now, and rightfully so. November is in full swing, and there’s no time like the present to prepare your closet for the frigid days to come. We’re not talking just any winter gear here. We made it our mission du jour to find the cozy items that are as handy as they are stylish. From a cardigan-scarf hybrid to a pair of gloves you can text in, cold weather is about to meet its match. Scroll down to shop 15 items to help you take winter in stride! Hood or no hood, this jacket is perfect for the coldest of days. Found: our new favorite snow boots. Yes, that is a fringed attached scarf you see. No more frozen texting fingers! This genius sweater features a removable turtleneck. A touch of shearling brings style and warmth. 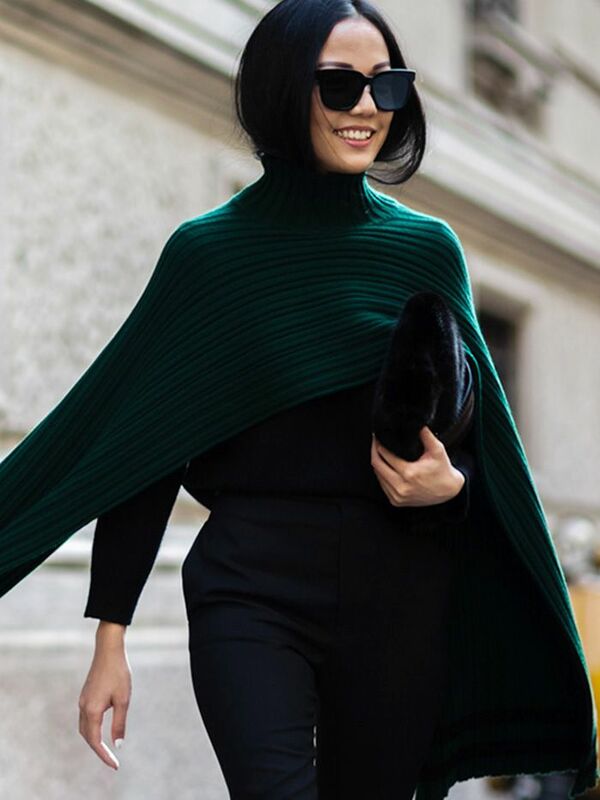 Total warmth (via cashmere), without the bulk of a scarf. Stuart Weitzman’s classic boot style gets a chic, winter-ready update. Wooly warmth without the bulk. A turtleneck sweatshirt is the best of both worlds. How to get the ’70s look for winter. Tie this cozy scarf like a bandana. Keeping ears warm is essential, especially when it’s with this cute hat. It’s a scarf! It’s a cardigan! Even better—it’s both. What’s on your winter shopping list? Tell us in the comments below!